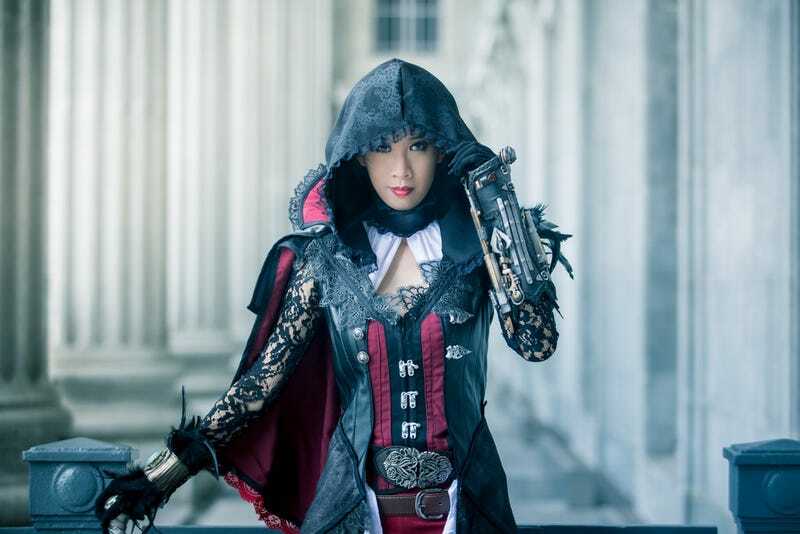 This is Lady Angelus as Assassin’s Creed Syndicate’s Evie Frye, perhaps the best-dressed video game character of 2015. Making this one of the best pieces of cosplay for 2015, as the work that went into the fine details of Evie’s suit (in this case the Bloofer Lady Outfit from the Victorian Legends DLC) is just bananas. To get an idea, below the professional photos are some progress shots of Lady Angelus sewing the costume. Pro shots by Darkon Lore.